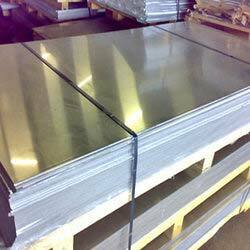 The very characteristic of our High Tensile Steel Plates is evident in the name. Known for their high toughness and good weldability, our High Tensile Steel Plates are used in various industrial procedures. The High Tensile Steel Plates are used in heavy-duty equipment, Heavy road vehicles like chassis, dumper bodies and building structures. Our High Tensile Steel Plate are available in grades including IS 8500 Fe 440, Fe 440B, Fe 490, Fe 490B, Fe 540, Fe 540B, Fe 570, Fe 570B, Fe 590, Fe 590B SAILMA 300, 300HI, 350, 350HI, 410, 410HI, 450, 450HI S275J2G3, S355J2G3, S355J2GIW, S355JR DILLIMAX 690, NAXTRA 70.